It might be hard to imagine, but there was a time when all of the major media outlets were not socialist propagandists for the State. 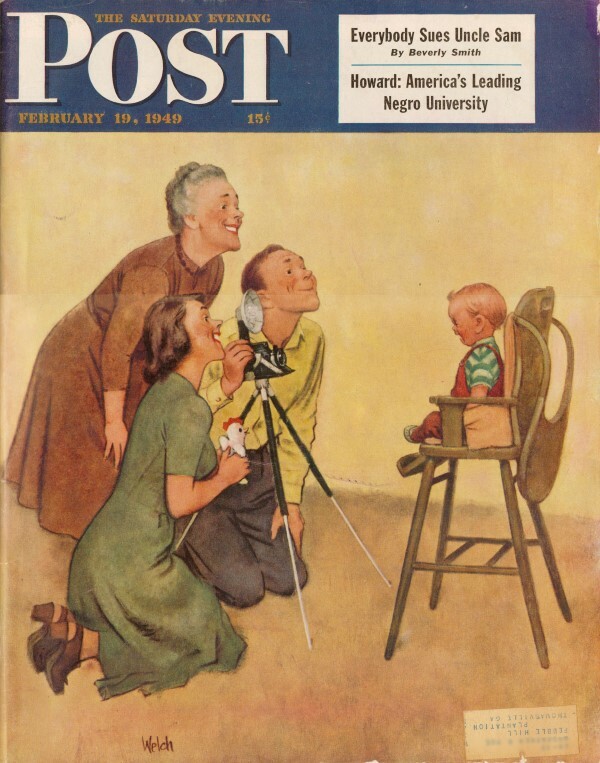 This editorial from the February 19, 1949 edition of The Saturday Evening Post is an example. Titled "Industry Cannot Produce if It Is Taxed to Death," it makes the case. Which magazine or newspaper of today would print something like, "The idea seems to be that you tax the corporations to the point of extinction because corporations are rich, selfish and antisocial. Actually, the corporation is a legal device to mobilize the savings of scattered individuals in such a manner that they can be used to set up and equip our industrial system more effectively than individual savers could do alone?" "While some of our Allies were compelled to throw up a wall of flesh and blood as their chief defense against the aggressors' onslaught, we were able to us machines and technology to save lives." The United States Strategic Bombing Survey explained in July, 1946, that the "one and only asset which they (the Japanese) still possessed was the willingness of their pilots to meet certain death. But their courage was futile, because we had better equipment than the Japanese had. In fact, it could be said that the only reason we Americans have been permitted to occupy and develop our vast territory without too much interference from outside is that we have throughout our history excelled our contemporaries in applying industrial skills to the production of weapons. The American Ordnance Association exists to urge the U. S. A. to see to it that this superiority in know-how is maintained. This started out to be an editorial on "capital formation," but, because the mere phrase scares most people away, it seemed a sound idea to back into the subject by mentioning the advantages of keeping a nation's industries up to date. It is on our industries that we must rely to provide the machines which can save lives by making it futile for an enemy to attack us, or, in case somebody attacks us anyway, by killing more people per soldier than the enemy can manage. From there perhaps the subject could be fanned out to include the advantage of maintaining a modern industrial plant for peaceful purposes as well, with some mention of the fact that the plans of many sincere and patriotic people make this all but impossible. Although most people know that we depend on our industrial plant to provide the better things of life, as well as to provide tools for our defense, there is so little understanding of how an industrial plant is kept up to date that on every hand we hear proposals to hamper industry's efforts to modernize and re-equip itself. The usual suggestion for dismantling American industry is to slap an excess-profits tax on it. The idea seems to be that you tax the corporations to the point of extinction because corporations are rich, selfish and antisocial. Actually, the corporation is a legal device to mobilize the savings of scattered individuals in such a manner that they can be used to set up and equip our industrial system more effectively than individual savers could do alone. The earnings of corporations are paid out in taxes, wages and dividends to investors. But corporations constantly need new machines, new trucks, new buildings and equipment of every sort. To pay for these things new capital has to flow into industry from the savings of profit-seeking Individuals. Because of tax policies which put a brake on investment, most" capital formation" in recent years has been built up out of the earnings of industry. 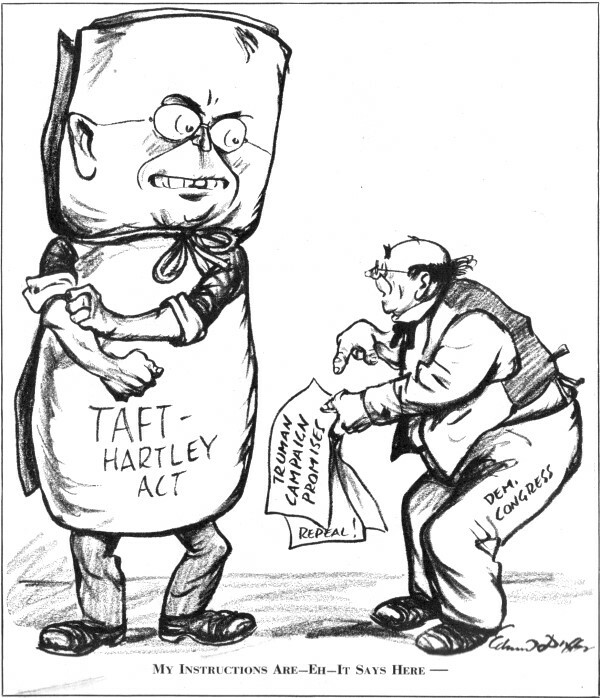 Winthrop W. Aldrich, chairman of the board of the Chase National Bank, in New York, points out that in the postwar period "less than one half of net earnings has been disbursed to stockholders as contrasted with three fourths in 1929." Some new equipment has been provided by depreciation allowances, but the sharp rise in costs has meant that, as a rule, an industry has been unable to save enough to replace its worn-out equipment at present prices. A stream of new money must pour into our industries from the savings of individuals if the system is to remain able to replenish itself and expand for new needs as they arise. The consequence of starving industry of capital by making it unattractive for people to invest in industrial stocks and bonds will be disastrous. But, we are told, industrial profits are at an unprecedented high and should be taxed heavily to support all the pie-in-the-sky schemes now taken for granted. If profits are high, it ought to be observed that they are paid in the same inflated dollars that go to wage earners, pensioners, insurance-policy holders and everybody else. Also a larger share of profits is being put back into the business than ever before. This has to be done because the cost of replacement of old equipment and other items is figured in those same inflated dollars. Again, a large hunk of these so-called exorbitant profits consists of inventory figures at inflation levels. To realize on this item of "profit" a company would have to sell out its raw materials and stock on hand and go out of business. The effect of such a policy on "full employment" can easily be imagined. What we get back to is the old story that if our capitalist economy is to remain free, industry must be able to offer investors a decent return on their money, and tax policy and labor policy must bear a definite relation to this objective. The present policy of hampering industries with crippling restrictions and then blaming the industries for being crippled can only result in stagnation, lower productivity and louder popular clamor for nationalization. We do not believe President Truman or the majority in even this Congress wants any such result, but a misdirected desire for social justice could incapacitate this great country to produce the very social gains we want - not to mention the means of defense against possible future adversaries.